This is the Rolls Royce of bathroom cabinets. 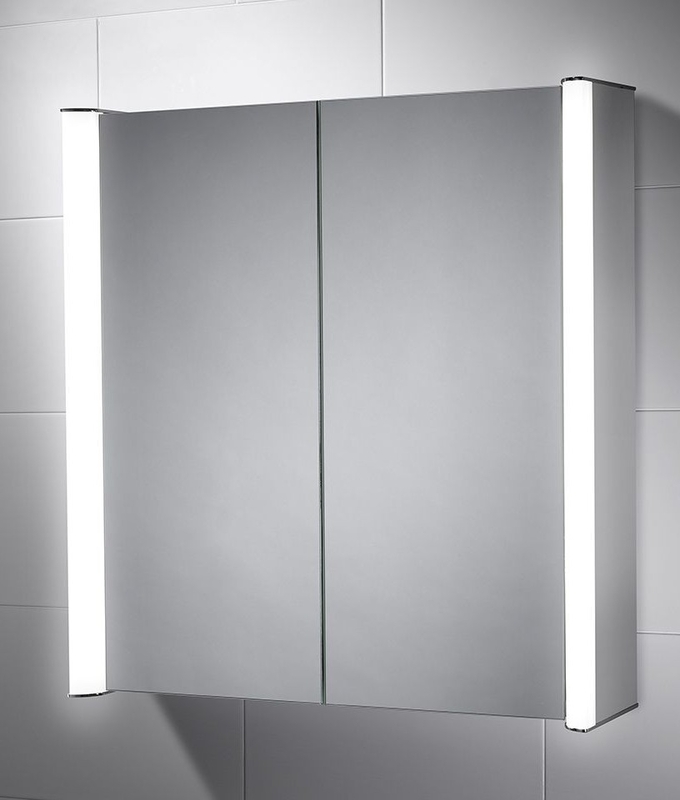 Extremely stylish double door cabinet complete with diffused LED points, the latest in LED technology. 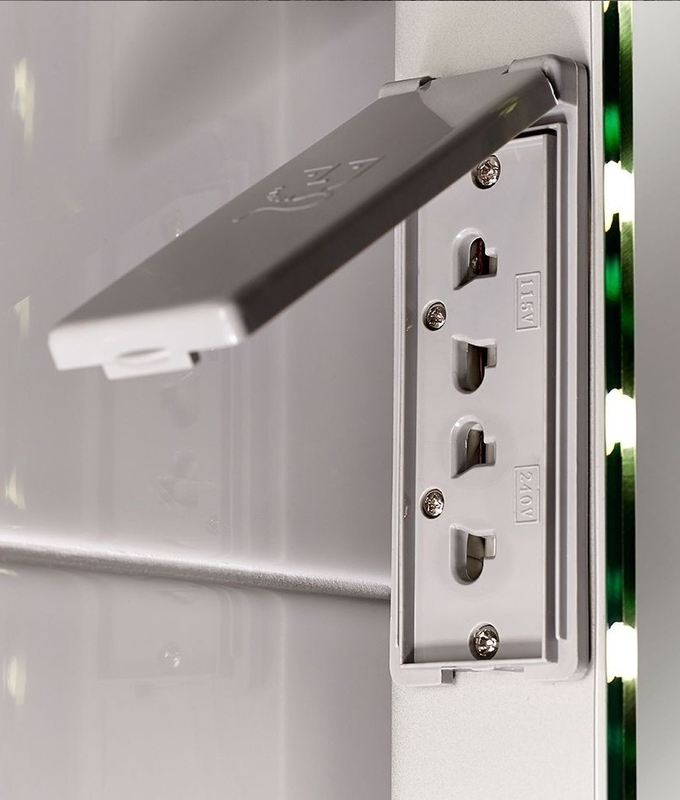 These LEDs are located on both sides of the mirror and also shine through the gap in the doors when open to highlight the contents inside. 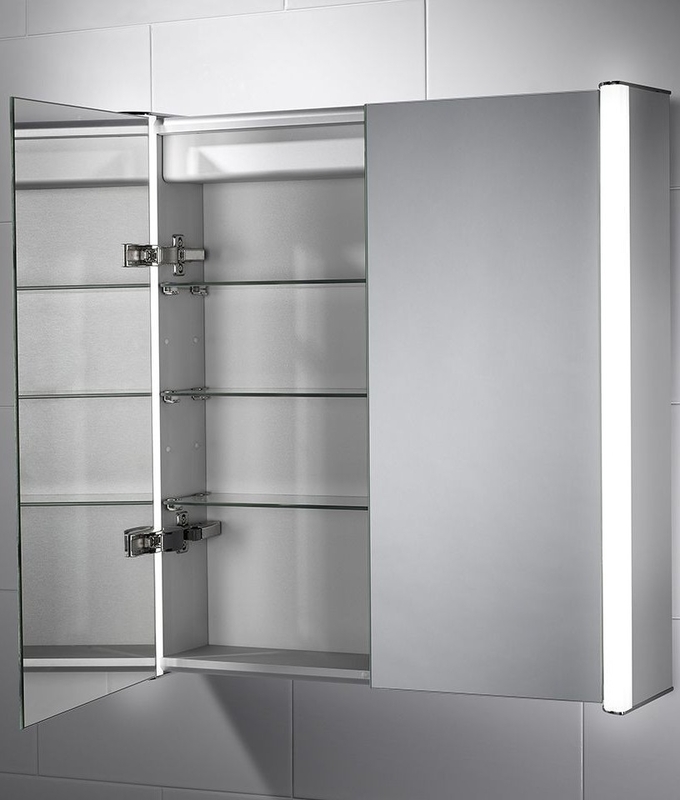 The cabinet has double sided mirror doors which allow you to view yourself when searching for items inside. Great for viewing yourself in the morning when shaving or applying make up. Located inside the cabinet is a shaver socket which is suitable for charging shavers and toothbrushes. 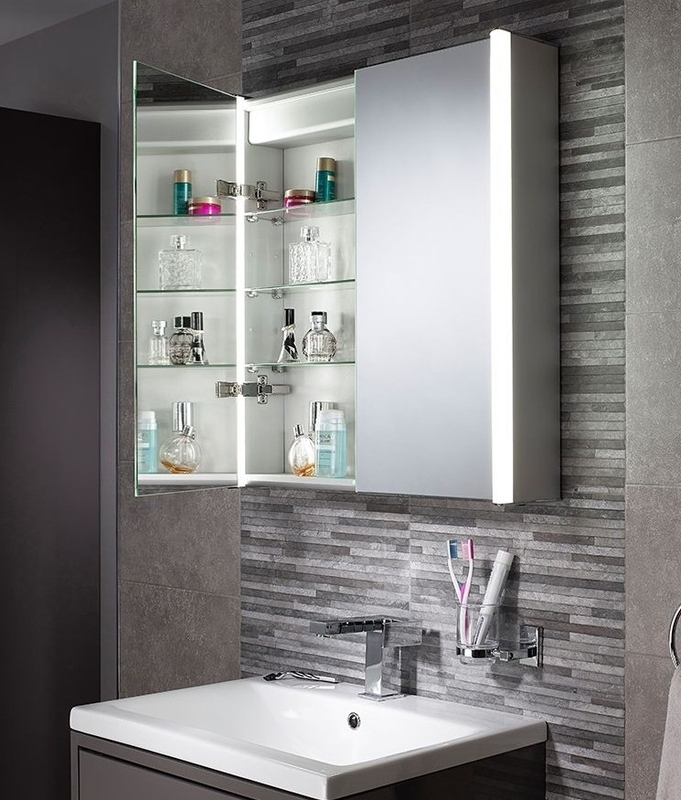 The three large adjustable glass shelves allow you to store your bathroom products out of sight. 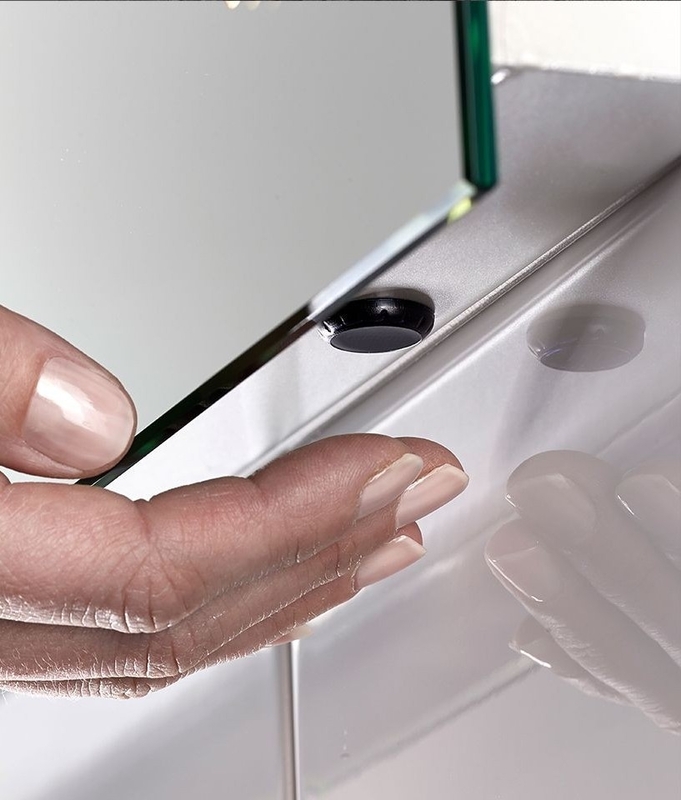 With an integrated infra-red sensor this allows you to turn the lights on and off with a simple swipe of your hand. This is great for maintaining hygiene levels. The sensor is located at the bottom of the mirror. Finally no need to worry about noisy doors waking your sleeping partner as these doors are soft close, allowing for a quiet and gentle closure. IP44 rated providing protection from splashed water and making it suitable for installation in zone 2 of the bathroom. Complete with 78 LEDs that total 15.6w. Very cool white colouring (6400°k) - great for bright surfaces and chrome. Total output 1170 lumens.